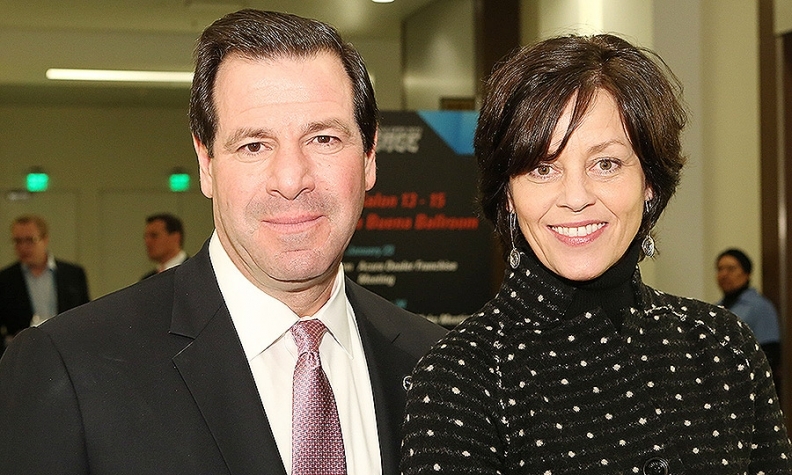 Tony Nicolosi, former CEO of Volvo Cars of North America and the new president of Volvo Cars Financial Services for the Americas, with Bodil Eriksson, Volvo Cars of North America executive vice president for marketing, before the make meeting. SAN FRANCISCO -- Volvo will detail the seven new products it will launch through 2017 at a March dealer meeting in Vail, Colo., dealers were told at their make meeting. The newest vehicle, the redesigned XC90 crossover, will go on sale in the second quarter. Dealers applauded the recent management change at Volvo Cars of North America and said having a senior executive from the home office in Sweden at the helm assures quick responses on all issues and signals a real commitment to the U.S.
"Everyone is excited -- we have a direct line to the board of directors and the CEO," said Chip Gengras, chairman of the Volvo Retail Advisory Board. Lex Kerssemakers was recently named CEO for North America. But he could not attend the make meeting because he doesn't yet have a U.S. visa. The meeting was run by Tony Nicolosi, former CEO of Volvo Cars of North America and the new president of Volvo Cars Financial Services for the Americas. Dealers were told Volvo expects U.S. sales to grow in the double digits from last year's disappointing 56,366 vehicles, an 8 percent drop. Kerssemakers appeared in a prerecorded video to greet dealers and assure them about the importance of the U.S. market, executives said. Dealers had their own 30-minute meeting before the make meeting. Gengras said dealers underlined the importance of increasing their profitability and throughput as well as the need to launch the XC90 "in a meaningful way." The dealer advisory board also is expanding its subcommittees to include product, sales and marketing, certified preowned, aftersales and operational support. Most of the dealers' major issues will be addressed at the March meeting in Vail, where Kerssemakers will preside. Gengras said dealers will get "better support" for the buyback of S60 sedans coming off lease under the Volvo 360 program. He said S60 residual values have dropped and Volvo has made adjustments that recognize the change. "There is a real disconnect with the residual value," he said.